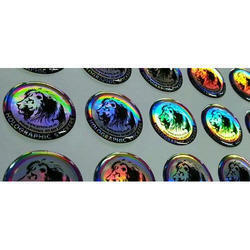 Keeping in sync with time, we are able to offer Healthy Eating Domed Sticker to our patrons. We offer these at market leading rates. Ours is a client-centric organization, engaged in manufacturing, supplying, trading, wholesaling and retailing Dome Stickers. To choose from different colors, designs and shapes, we provide our clients these labels.